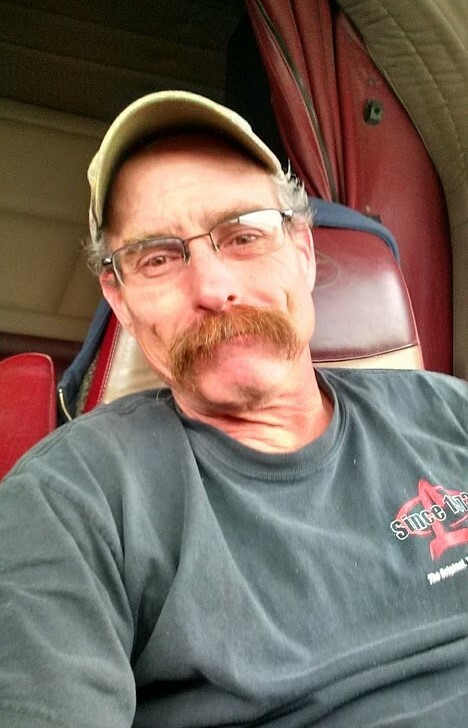 Jeffrey Allen LaCroix, 58, was called home on Wednesday morning November 21, 2018 at home after a long battle with cancer. Jeff was born on March 19, 1960 at Fort Know, KY to Alfred and Dawn (Mattlin) LaCroix. He attended school in Fort Knox and in 1969 the family moved to Oshkosh, WI where he graduated from Oshkosh West High School. 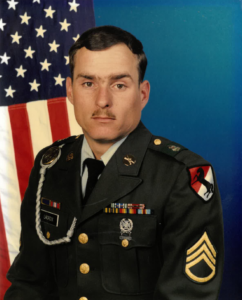 Following his dad’s lead, he enlisted in the U.S. Army where he took basic training at Ft. Knox and spent his 20 year career with the 11th Armored Cavalry Black Horse Regiment. (driving tanks) Upon retirement from the U.S. Army, Jeff and his Best Bud, the light and love of his life, Sherry, moved to Rapid River, MI. He loved being a “Yooper” driving OTR trucks. When Jeff lived in Oshkosh, he spent summers in Manistique, MI with his grandparents, R.J. and Marie Mattlin. He would introduce himself to people as Jeff Mattlin. He adored his Grampa Matt and Grampa adored Jeff. In addition to his father, Al, his grandparents, Albert and Rebeckie LaCroix , Matt and Marie Mattlin and infant sister Nicole preceded Jeff in death. Memorial services celebrating the life of Jeffrey Allen LaCroix will be held on Saturday, December 8 at 11:00 AM at the Rapid River Congregational Church in Rapid River with Pastor Bill Rafuse officiating. The family will receive friends from 10:00 AM to 11:00 AM. We will miss Jeff in our neighboorhood. You never knew when he was gonna pop up on his side by side. We are so sorry to hear of Jeff’s passing…we will cherish the painting he made of our log truck…love and prayers sent to his family.